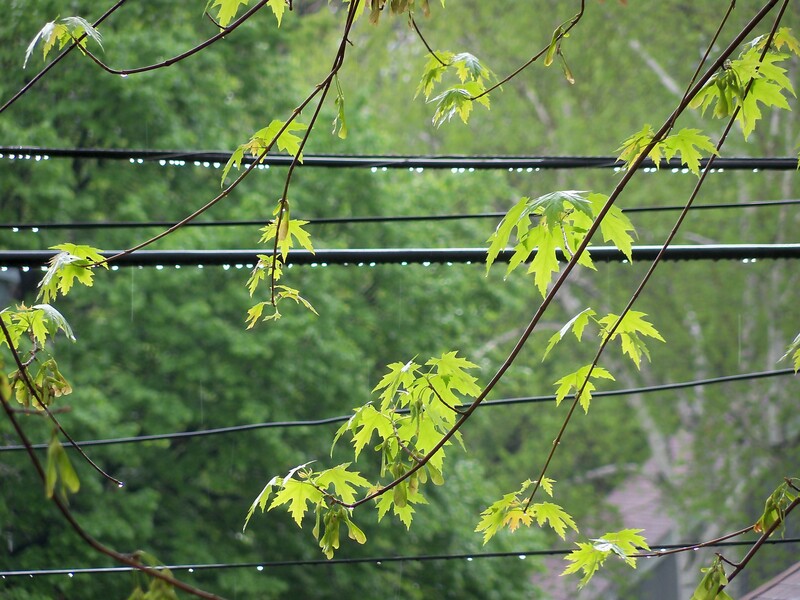 The rain had just ended when I let the dogs out earlier this morning and noticed these sparkling water drops beaded along the phone lines above our fence. Such a pretty counterpoint to overcast sky! This entry was posted in Uncategorized and tagged rain, raindrops. Bookmark the permalink. I get confused by the WP reader myself. Aren’t they starting up something new that is supposed to somehow take the place of Google reader? Maybe that will work better. Meanwhile, thank you for taking the trouble to come here via Google.